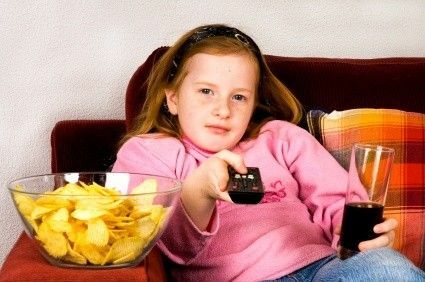 A study published Monday in the journal Health Affairs1 paints a picture of children who can't stop eating. They are addicted to junk food snacks and they just can't seem to stop. They are getting larger and hungrier by the minute. They have three extra meals per day in the form of snacks, composed primarily of utter junk food and junk beverages. The study is just now being picked up by the national media, although I first reported on it last month when it was also published in the Journal of Nutrition. Michelle Obama jumped on the new report while speaking to the School Nutrition Association conference in Washington on Monday, placing the blame on parents, educators and policymakers. "Our kids didn't do this to themselves," Obama said. "From fast food, to vending machines packed with chips and candy, to a la carte lines, we tempt our kids with all kinds of unhealthy choices every day." It might help if Mrs. Obama pointed her finger at the primary source of the problem, the food industry, especially the blatant purveyors of food garbage: Coke, Pepsi, McDonalds, Burger King, etc. Unless she calls them out and focuses on the damage they are causing to our children her progress will be negligible. Unfortunately, she already has omitted the word “organic” when describing her White House Garden after getting attacked by the industry that loves chemicals and GMO mutant food. Our society desperately needs a new version of Nutrition 101. Public health officials are obsessed with the number of calories consumed – not the reasons why individuals consume calories they know they shouldn't. Government panels of so-called experts have proclaimed that the only way to lose weight is to cut back on calories or to exercise more. While nobody is going to argue with this advice if it is given to a couch potato pigging out on junk food, it is of little value to a person who eats well, exercises, and still has trouble with weight or is not able to reach their goal weight. If you exercise more you must eat more or you won't have any energy, will feel irritable, your immune system becomes depressed, and you will be at high risk for binge eating and yo-yo dieting. If you eat less you will lose weight for a while and then your metabolism will slow down to the level of calories you are now eating, creating a starvation response to dieting that is certain to evoke a yo-yo response – just ask Oprah. If you eat even less you will at some point become malnourished or anorexic. In order to break free of this metabolic catch-22 you must manage the hormones that are activated when you eat. As it turns out, the act of snacking, not the amount of calories snacked on, throws hormone switches that govern how your body utilizes or fails to utilize the calories that are consumed. Eating too often is like a repetitive strain injury to your metabolism. It causes a problem called leptin resistance, which induces obesity and inappropriate cravings for food. This is a different issue than the simple notion of the total number of calories consumed. It is about the efficiency your body has to metabolize calories. Make mistakes and you set yourself on a path of weight gain and incessant, inappropriate cravings for food. Since 2002, I have explained extensively in my books on the Leptin Diet that snacking is the primary cause of inefficient metabolism leading to obesity and the early onset of disease. The diet pundits who tell people to snack to stoke their metabolism are doing nothing more than using food as a drug and their advice is ruining the health of our citizenry. It is little wonder that we now have a nation of food addicts. Mrs. Obama could directly influence this problem in a positive way by orchestrating a campaign to prevent snack breaks in schools and replace them with exercise times. School exercise has been progressively lacking as it was deemed there wasn't enough time for it as students needed to focus on academic achievement. Educators failed to realize that exercise reduces the desire to eat inappropriately, pumps blood to the head so students can focus better, and actually builds learning-related nerve networks that make children more intelligent. Students who are not overweight and are physically fit are sick less often – meaning they can actually show up for class in the first place. Mrs. Obama could combine her obesity campaign with a rejuvenated President's physical fitness campaign. The government's school lunch program has been a bonanza for the low-quality food industry. The recommendations of the food pyramid determine what kinds of foods the government will buy to feed our kids. This process is governed by industry lobbying, not health. The fact that refined carbohydrates are still allowed in this pyramid has nothing to do with health and everything to do with the profits of food producers. This problem will take years to solve, but there is no reason we shouldn't get started on it. Is Mrs. Obama up to the challenge? This requires taking on the mainstream food industry, the makers of refined trash that contain addictive chemical stimulants in their food (making every effort to ensure flavor-based brand addiction). This means directly taking on those who profit from our children overeating. There are several solutions. Demand a country of origin label on all foods consumed in the school lunch program (a buy American campaign). Demand a miles to market label on all foods eaten (let's get local fresh-food farmers in the loop, while reducing the carbon footprint). Demand labeling of food as organic or not and name the pesticides used (let's make it educational, allow kids to taste the difference for themselves). Demand food containing GMO mutant food is labeled as such (don't worry, no kid will eat it and the rats won't either). If the government is going to provide food as part of education then it should be educational. The makers of junk food and low-quality food have been ruining the health of our children for long enough. As long as food companies can put addictive flavoring additives and compounds designed to stimulate dopamine production into our food supply we will have children who want to eat all the time. The problem isn't just about snacking; it's about fundamental food addiction. Unfortunately, Mrs. Obama will also have to take on her husband's industry-friendly FDA if she is to make any lasting progress on this issue. While individual responsibility, including correct parental examples and guidance will always have the most impact on a child, government can play a role. However, that role should be directed at problems that are beyond personal control such as the various lobbies influencing government to put poor quality food in the schools. Byron J. Richards, expert clinical nutritionist, is the author of Mastering Leptin and the Leptin Diet. He is the first to explain how hormone efficiency improves metabolic function and combats obesity. What is the Leptin Diet?